Solanke to join Rangers on loan? Liverpool forward Dominic Solanke could reportedly make the switch to Rangers on a short-term loan when the transfer window reopens in the New Year. The 21-year-old has failed to make a single appearance in the top-flight since the start of the campaign and has only made the bench on the one occasion. Owing to this, Solanke has already been tipped to make a temporary move elsewhere and TalkSPORT claims that Rangers could be the favourites to pursue him with the presence of Steven Gerrard as their head coach. 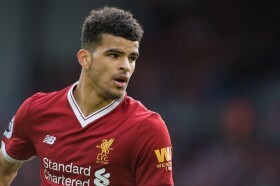 Solanke has been restricted to just two Premier League 2 appearances this campaign but he has managed to take advantage of those chances by scoring two times in the process. Aside from Solanke, Divock Origi has gone through a similar run with respect to the gametime and reports have suggested that he could part ways with the Reds on a permanent basis at the turn of the year.